Our innovative approach to education and learning fosters children becoming independent learners in a well-supported and encouraging environment. This will ensure that your child will have the skills necessary to transition into their educational journey and be equipped for our ever changing fast paced world. built around engaging children iaximum of 66 children overall. Our natural outdoor play area is an open mixed-age space where all children are encouraged to interact and learn from each other. nutritious meals @ warhol café. Our discovery space supports children aged 0-2 years. Our explorer lab supports children aged 2-3 years. Our maker space supports children aged 3-4 years. Our tinker lab supports children aged 4-5 years. Our natural outdoor learning environment promotes play based learning and measured risk taking within a mixed-age sustainable natural environment. Our children will have the opportunity to grow, care and cook their own produce from our vegetable crops and outdoor fire pit. 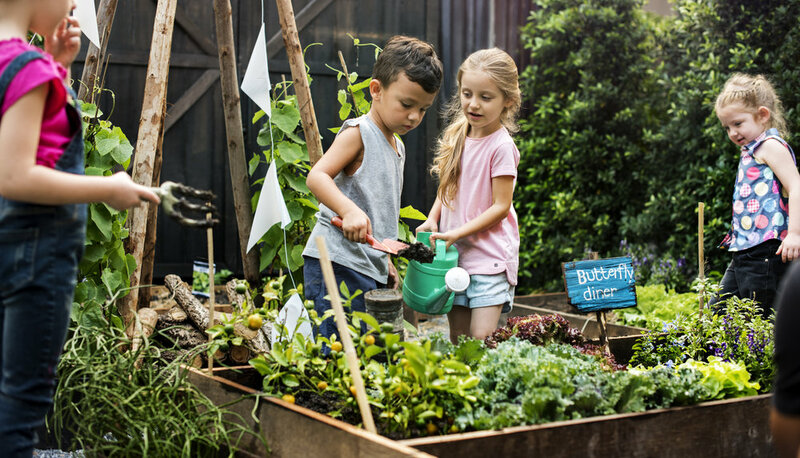 Studies have shown children who grow their own food are more likely to eat fruits and vegetables and show higher levels of knowledge about nutrition (Waliczek, & Zajicek, 2006). They are also more likely to continue healthy eating habits throughout their lives (Morris & Zidenberg-Cherr, 2002). The Warhol Café is an onsite service that provides all nutritious meals whilst the children are in attendance. All food catered for is of high nutritional standard in accordance with Australian Dietary Guidelines, Get up and Grow: Healthy Eating and Physical Activity for Early Childhood, Menu Planning Guidelines for Long Care and Food Standards Australia. All food catered for is cooked onsite by our qualified cook in our industrial kitchen. Our menus will be checked by Munch and Move prior to implementation to ensure all five core food groups are met. Our daily menus are on display for parents and children to view. All children who are still taking milk as part of their daily intake must have their formula and/or breast milk provided by the parents. We love to celebrate special occasions, when our children celebrate their birthdays we celebrate with them! The Warhol Café will provide the child, their friends and educators cupcakes to share after they sing happy birthday. Parents are welcome to share this special moment with their children. Some of the lunch meals we will be providing are Tuna Bake, Apricot Chicken, Mexican Beef and Spaghetti Bolognese. Our four weekly rotating menus will be available to view on KidsXap.